At first, you might not think of eggs and hats in the same room, let alone in the same sentence, let alone in the same hottest trend. But every so often new combinations capture our imaginations in unexpected ways, and 2015 was no different. This was the year when eggs and hats finally stepped into the spotlight, hand in hand. And boy, were they ready to shine! 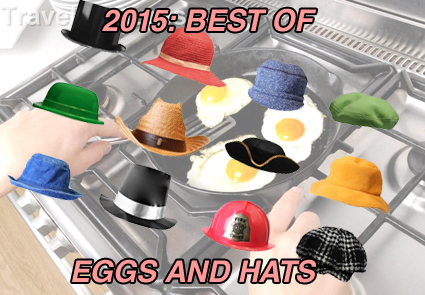 When it comes to eggs and hats, 2015 brought alllll the feels. ‘Nuff said.